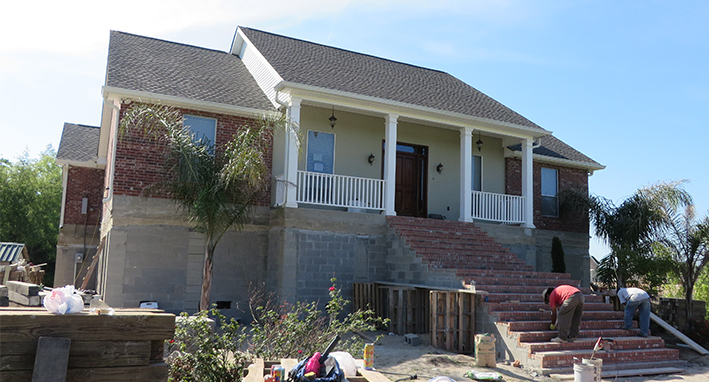 In response to the housing needs resulting from Hurricane Isaac, HGA on behalf of Plaquemines Parish Government has developed and is currently administering the Parish’s $16,953,000 Disaster Recovery Community Development Block Grant (CDBG-DR) program, providing assistance to single-family homeowners with unmet housing repair needs. The major component of this program is the Plaquemines Housing Assistance Program (PHAP), developed primarily to address the repair needs of extremely low-to-moderate income homeowners whose homes were damaged by Hurricane Isaac; however, this does not preclude addressing repair there needs of other income groups who otherwise qualify. This program address both minor rehab (unmet repair needs under $15,000) and major rehab (unmet repair needs in excess of $15,000). For eligible properties experiencing 50% or more in storm-related damages, PHAP will support the replacement/reconstruction and elevation of the structure to the required height to meet or exceed the property’s Digital Flood Insurance Rate Map (DFIRM) rating. Sixty-nine (69) properties are included in the Program.